I mentioned a while ago that I bought playsets of all common cards from Theros up to Dragons of Tarkir. I decided this weekend to make a Black-White Pauper deck using only cards from the M15 Core Set to try out against a couple of Fate Reforged Intro decks I have and some kids at school. So far it’s performing fairly well, if a little slowly. First the card list, and then I’ll give my thoughts on it so far. Total cost was peanuts (this is Pauper, after all). 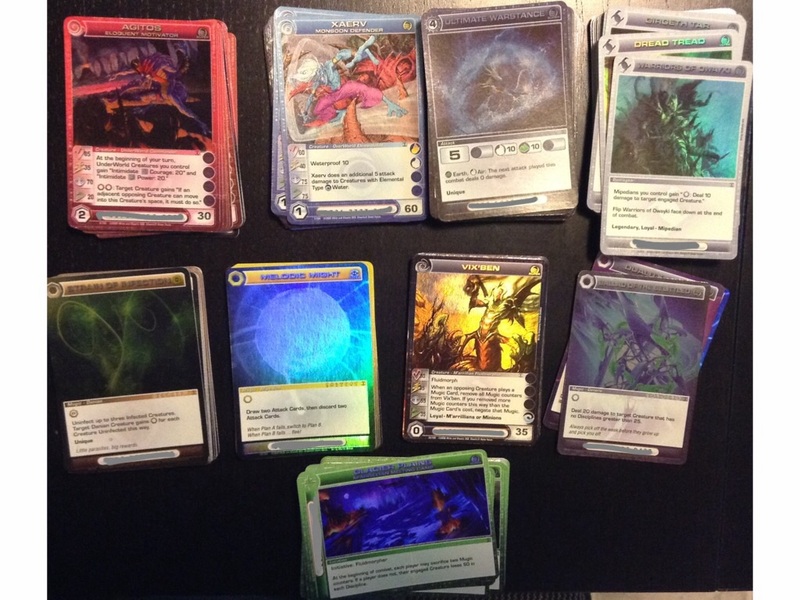 If you paid $0.10 per card it would be $6, which is about what I paid for all the M15 Core commons together. I have 8 cards which generate 1/1 tokens (Raise the Alarm and Triplicate Spirits). Those are nice, and I’ve been able to make them work each game. I originally had 2 Festergloom in there, but I realized (belatedly) that they would kill off my own white tokens. Maybe it would fit into a Mono-Black deck. I swapped them out for Unmake the Graves. I have yet to draw that card, but I think it might not be helpful given the number of tokens I’m using versus creature spells. Oppressive Rays works well to slow the pace and make sure my 1/1 wimps can chip away at the other player. Divine Favor hasn’t helped too much. It might be good to boost Oreskos Swiftclaw‘s toughness, but how often will that happen? I’ll tweak it some more. Suggestions always welcome!